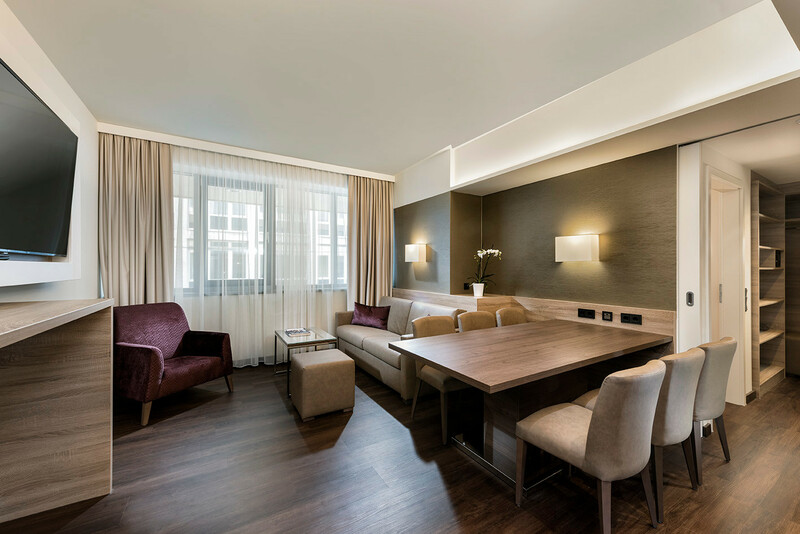 Wyndham Grand Hotel Salzburg Conference Centre is one of the largest conference hotels in Austria: With a total event space of 1,750 square metres, it can host events of up to 1,000 persons, as well as small meetings of only eight participants. 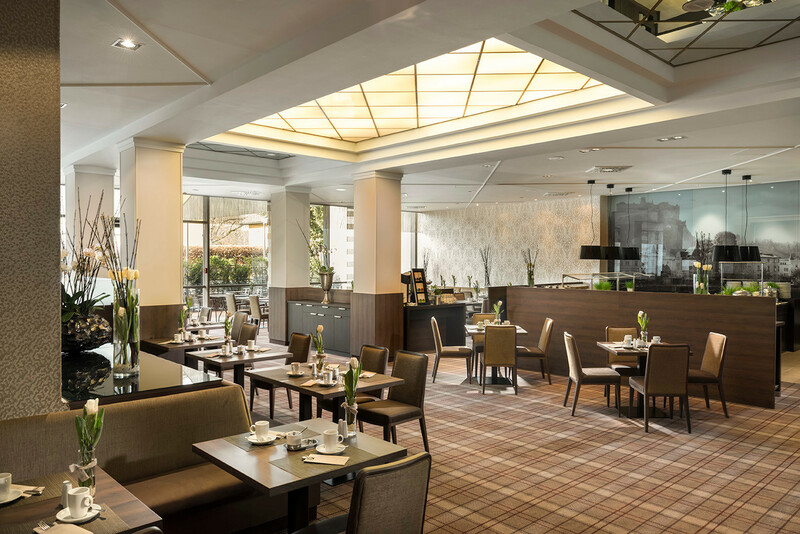 262 rooms, a wellness area, a restaurant with bistro and bar, and a club lounge with roof terrace complete the facilities on offer at the hotel. Guests can also make use of the 450 parking spaces in the hotel's underground car park. The Wyndham Grand Salzburg Conference Centre was awarded with the Austrian Ecolabelling. 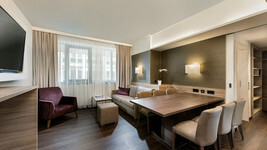 262 rooms in a modern design are available at the Wyndham Grand Hotel Salzburg Conference Centre. One Executive Grand Suite, five Business Suites and three Junior Suites offer high comfort. 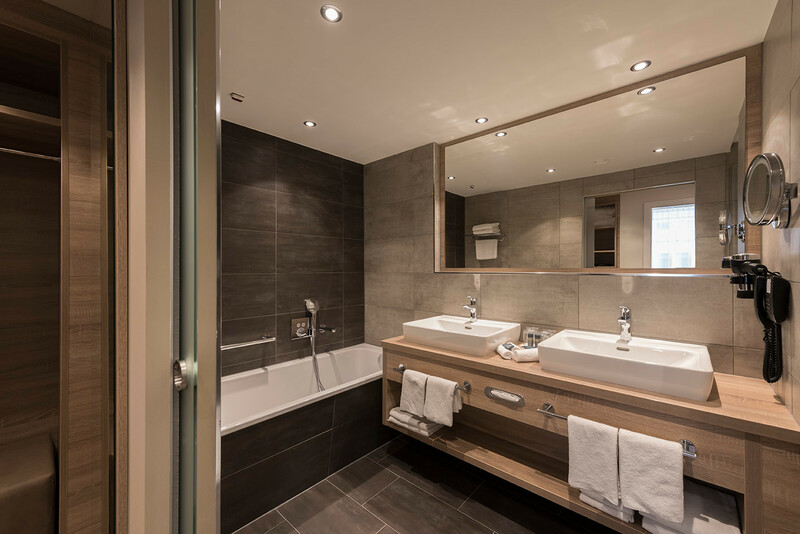 Alongside the suites, four categories can be chosen from: Standard, Club Room, Family Room and Business Room. Guests staying in the spacious Club Rooms and Business Rooms gain access to the exclusive club lounge with roof terrace. 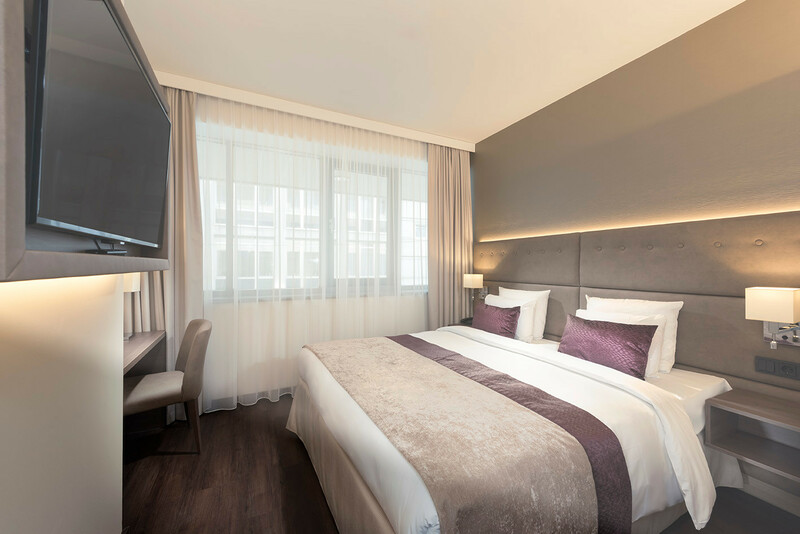 The hotel offers special 34 square-metre family rooms with two queen-size beds for up to four persons. been carefully prepared with ingredients from the region and from animal welfare friendly sources. The BarRoque has space to seat 70 guests and a further 130 seats are available in the Tamino breakfast restaurant and terrace. 18 conference and function rooms are spread over a total area of 1,750 square metres. Whether for a congress, banquet or trade fair: The 960 square-metre ballroom caters for events of any nature and has space for up to 1,000 persons. It is also possible to divide the room for smaller events of up to 520 guests. The other 16 rooms, ranging in size between 23 and 150 square metres, offer space for meetings, conferences, presentations or seminars of eight to 120 participants. 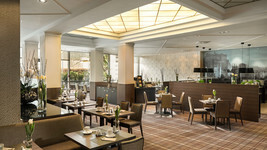 The hotel is a certified Green Meetings & Events hotel. Guests will find the sporting balance and relaxation in the hotel's wellness and fitness area. This includes an indoor pool with large window facade and a gym. A Finnish sauna, a separate relaxation room and a cosmetic and massage salon complete the facilities on offer. Salzburg Festival. The hotel is only a few metres from the main train station and the central bus station. The historic centre, with its impressive buildings is also only a twenty minute walk away, and the airport is about five kilometres away. In Salzburg, visitors walk along architectonic paths: In the alleyways of Salzburg's historic centre there are historic buildings from a variety of epochs - from the medieval era and the romantic period to the Baroque era. For this reason it is a UNESCO World Heritage Site. Hohensalzburg Castle is also popular with tourists and is one of the best preserved medieval castles in Europe. The Hangar-7 artwork at Salzburg airport and the M32 Museum of Modern Art provide contemporary highlights.